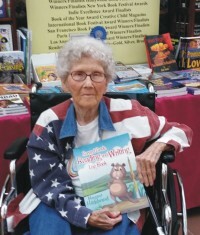 Award-winning teacher, Margaret I. Hildebrand, devoted her career to helping shape young minds. She is the recipient of the Ashland Oil Teacher Achievement Award for Teacher of the Year and received the Golden Apple Award from the West Virginia Education Fund. She helped her second grade write and publish two books, Are We There Yet? And West Virginia History. Having accomplished many goals during her teaching career, her greatest personal achievement was raising her three sons. She lives in Oak Hill, WV with her husband, Gerald.